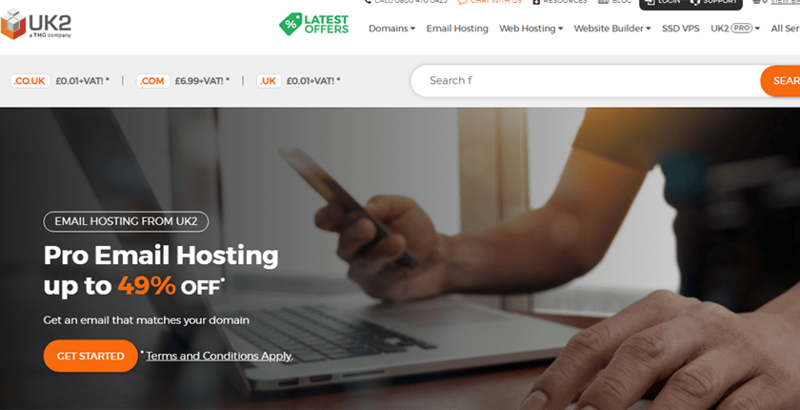 UK2 Review 2019: Is UK2 a Good Hosting? UK2 offers simple web hosting solutions with average features. Their basic plans are only appropriate for the most basic websites, so avoid the "Cheap Website Hosting" options and choose their standard plans. UK2 is a U.K.-based company with over two decades of experience. They have powered thousands of websites globally over the years and offer simple hosting solutions. Their most basic plans are light on features and should mostly be avoided. Note that two plans are considered as “Cheap Web Hosting”and they are the Budget and Starter plans. Those plans have very few features and none of the features listed above. This provider is relatively simple to use. You can either set up your site using their cPanel or through their Softaculous auto-installer. They don’t offer a drag and drop website builder so true beginners will go through a bit of a learning curve before starting. Also, this host offers WordPress hosting with your hosting service pre-configured for WordPress. Those plans offer between 5GB and 20GB of SSD storage, but you’re limited in the number of visitors that can come to your site a month. As you can see from the chart, the two smallest plans are ideal only for small websites such as blogs due to limitations on bandwidth and space. Your smartest bet would be to go with Business or Business Cloud as you get unlimited features and free SSL certificates. The pricing is minimal between Essential and Business and worth the price. There’s one key caveat to this provider. The price quoted on their site is only good for 12 to 24 months depending on the plan. Afterward, the price more than doubles. However, the Essential plan comes WordPress ready and is about the same price or cheaper than most of the WordPress Hosting plans. I’d recommend going that route over their WordPress hosting. UK2 does not offer any form of free access, but all plans come with a 30-day money back guarantee. UK2 offers reasonably solid technical support. For immediate answers to problems, you can chat with a live support agent. Otherwise, you can open a ticket from within your cPanel. They don’t offer technical phone support, but they do have sales agents available via telephone. There’s also a searchable knowledge base available. When speaking with support, I was able to connect to an agent in under 30 seconds, and they were very knowledgeable about the product. Overall, I found UK2 to be an average website hosting company. They can get the job done but aren’t overly impressive. Their cheap website hosting is cheap in both price and features, so it is advisable to choose one of the standard plans. Wondering how UK2 stacks up against other Web Hosting companies? Enter any other Web Hosting company and we will give you a side-by-side comparison.